Interested in my courses or me as an instructor? Please email me for my teaching philosophy, reviews, and materials. I’m a former Future Academic Scholars in Teaching (FAST) Fellow. Read more about the program and our education research. This course serves as an introduction to the basic principles of modern biology, including biomacromolecules, bioenergetics, cell structure, genetics, homeostasis, evolution, and ecological relationships. Students are assessed through Learning Catalytics activities in and out of class, a video presentation on primary literature, and a series of exams. This course provides an introduction to biology at the organ and organismal levels, with an emphasis on physiological processes and integration of growth and development. This course will foster the development of scientific skills including hypothesis testing, experimental design, data analysis and interpretation, and scientific communication. Students are assessed through Learning Catalytics activities in and out of class, a video presentation on primary literature, and a series of exams. Introductory course to ecological processes at individual, population, and community levels that occur in plant, animal, and microbial taxa, and their relevance to current environmental problems. Students are assessed through Learning Catalytics activities in-class, homework assignments, presentations on a key topic, and a series of exams. The companion laboratory for BIOL 2335 (Ecology). This course stresses understanding ecological concepts through a combination of lab and field experiments, and computer simulations. 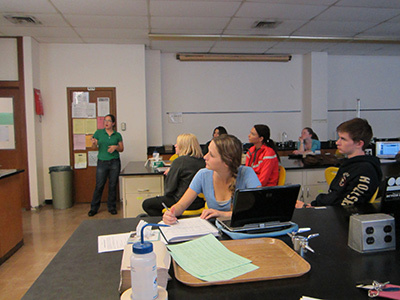 Students are assessed through several laboratory writing exercises, quizzes, and group presentations. This course provides introduction to the study of the principles of behavior of all kinds of organisms, from microbes to mammals. This course heavily emphasizes experimental design and data representation. Students are assessed through outside of class Learning Catalytics activities and exams, essays reviewing primary literature, and the design of a semester-long experiment. This capstone course represents the culmination of the student experience in the biology program at Georgia Tech. 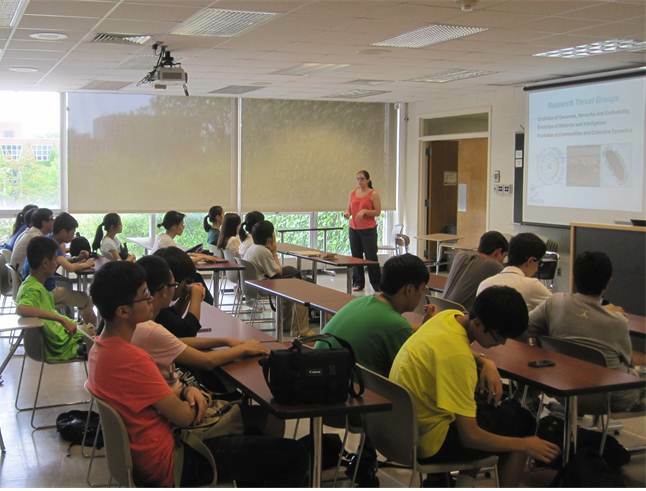 Students in the course are assessed on and gain experience in designing, implementing, and communicating a biology research project, and practical training in modern approaches for biological research. These courses are for undergraduate and graduate students conducting teaching assistantships within the School of Biological Sciences. The course provides an introduction to teaching biology, with a focus on effective teaching active engagement of students, and development of innovative classroom activities. Students are assessed through outside of class reflective assignments, lesson plans, and a learning portfolio. This course explores the importance of concepts in evolutionary biology to human welfare through selected case studies. Students will gain an understanding of the relevance of evolutionary biology in medicine, industry, agriculture, and environmental sciences. Students are assessed through a variety of assessments which include case study questions and experimental design, exams and quizzes, in-class writing prompts, and arts-based projects. This course introduces students to the field of animal behavior. Case studies are used to learn how the evolution and ecology of animal behavior is studied, while the state of current knowledge of important topics in animal behavior including sexual selection, cooperation, and parental care is presented. By focusing on how scientists study animal behavior, students continue developing the ability to think as a scientist. Non-majors course that explores fundamental concepts in biology, particularly as they apply to a range of local- and global-scale contemporary issues. Activities include original investigations, data collection and analyses, creative problem-solving, and evaluation of information in the media. Principles of heredity in animals, plants and microorganisms. Classical and molecular methods in the study of gene structure, transmission, expression and evolution. Advanced topics in the ecology and evolution of animal behavior, including foraging, predator-prey dynamics, mating, and parental care. Combined course of lecture and 2 literature-based, student-led discussion sections critically assessing primary literature research design and theoretical frameworks. Interdisciplinary course between computer science, engineering, and natural sciences on research methods used in evolution. Covers the basic principles of genetics, evolution, and population dynamics critical to understanding organisms and populations. Genetics, fundamental statistics, and biological variation units, using both in natural and digital organisms. Designed a 5-week unit on Animal Behavior (Courtship and Aggression in Crickets) specific to my sections. Fundamental Genetics course. Tutoring and grading of exams/quizzes for a course of approximately 40 students. Introductory course to the biology program at Georgia Tech. 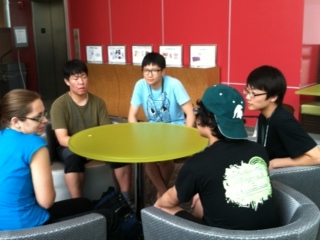 Classes are subdivided into groups of 10-15 first-year students.